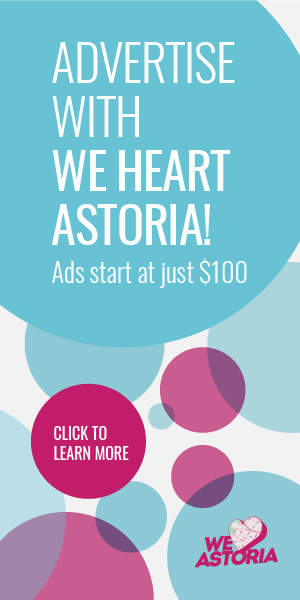 Astoria Snow Day – What’s Open? A list of Astoria and LIC restaurants and bars that are open (or delivering) during the snow storm. A round-up of 10 great places to eat and drink during Superbowl XLIX in Astoria, LIC and Woodside. A new Cuban restaurant called Sabor de Cuba opens in Astoria. Rumor – Is Marketa Closing? There are rumors that Marketa restaurant on 30th Avenue in Astoria will be closing. Learn more about their future plans. Food Talk features a waffle bowl at Sweet Jane’s Desserts, Astoria Halloween activities, the opening of The Bonnie and more. We Heart Astoria Food Talk covers Queens is NOT the new Brooklyn article, featuring Astoria and LIC eateries; the expansion of Butcher Bar; the impending opening of The Bonnie and more. Food Talk explores savory fall food such as the okonomiyaki at Mu Ramen, the meze tasting at Zenon Taverna, Bear’s veal dumplings and more. A fun 30th Avenue illustration map of all the places on 30th Avenue that we heart (includes, shops, restaurants, businesses, and general places of interest). A peek into the brand new, Brass Owl clothing and accessories shop. Labor Day edition of food talk includes brand new eats at Off the Hook Bar, U.S. Open food recommendations, Labor day food specials such as the banh mi at The Queens Kickshaw and more.